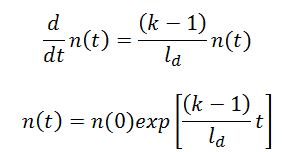 In reactor physics, k∞ or its finite form keff is the most significant parameter with regard to reactor control. At any specific power level or condition of the reactor, keff is kept as nearto the value of 1.0 as possible. At this point in operation, the neutron balance is kept to exactly one neutron completing the life cycle for each original neutron absorbed in the fuel. 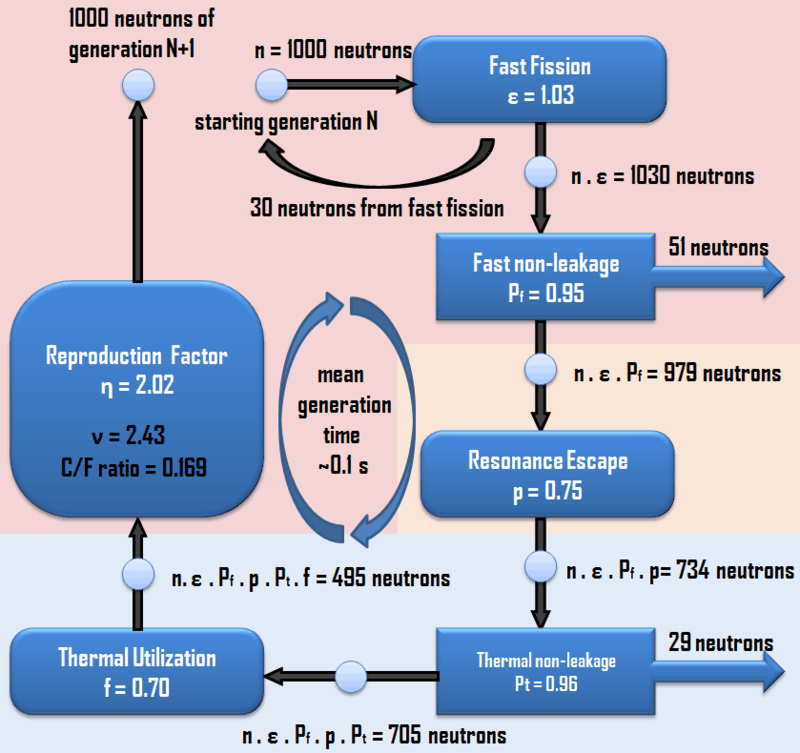 Detailed knowledge of all possible operational factors that may affect the multiplication factor of the system are of importance in the reactor control. It was stated the keff is during reactor operation kept as near to the value of 1.0 as possible. 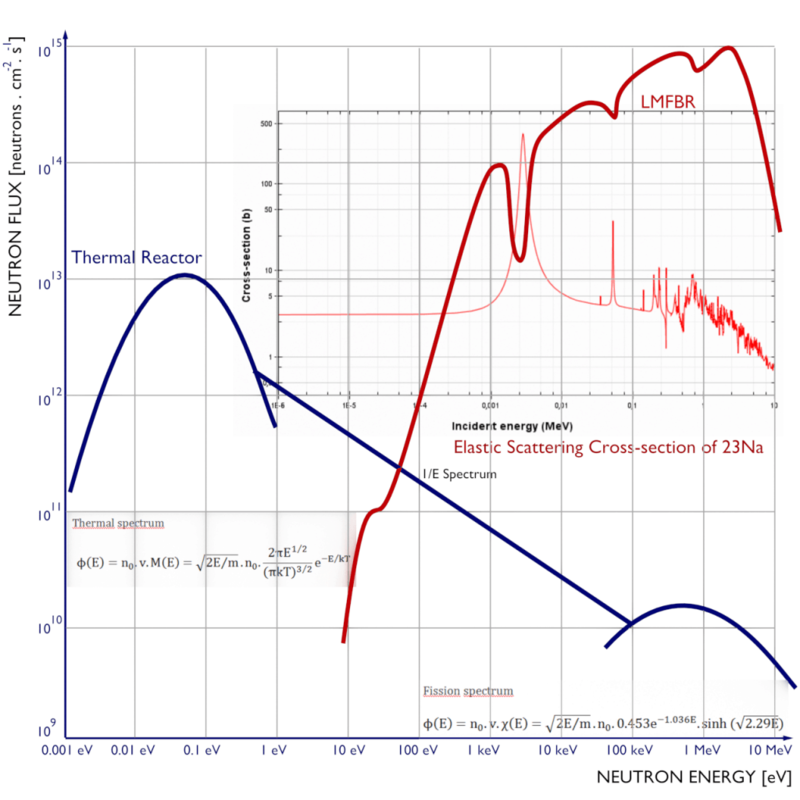 The criticality of the reactor is influenced by many factors. For illustration, in an extreme case also the presence of human (due to the water, carbon, which are good neutron moderators) near fresh uranium fuel assembly influences the multiplication properties of the assembly.If any operational factor changes one of the contributing factors to keff (keff = η.ε.p.f.Pf.Pt), the ratio of 1.0 is not maintained and this change in keff makes the reactor either subcritical or supercritical. Some examples of these operational changes, that may take place in PWRs, are below and are described in a separate article in detail.